Diablo III has been teasing us for awhile now. A few screenshots here, an enemy description there, Blizzard toys with our emotions and gives us just enough information so we don't fall into despair over whether we'll actually hold this game in our hands. Well, today Blizzard supplied us with another drop in the bucket labeled "Things We'll See in Diablo III." 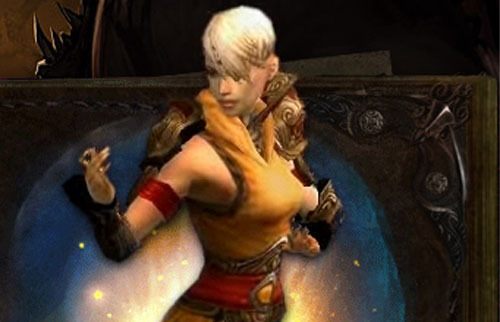 Yes, Virginia, there is a female monk in the Diablo III universe. In Diablo III, unlike in Diablo's previous titles, players can choose whether to play a male or a female version of each class. The monk class had previously been announced, but only provided pictures and screenshots of the male version. Now Diablo fans can get a first look at the female counterpart. You can check out the female monk model and concept art on Diablo III's website.